Cetix is committed to the support and implementation of IEC61508 and IEC61511, the International Standards for Functional Safety of Electrical/Electronic/Programmable Electronic Safety Related Systems. In response to these standards Cetix has developed a unique Application Software Autotest Product. Systems have been supplied with dedicated SCADA workstations or integrated with other SCADA/DCS systems. 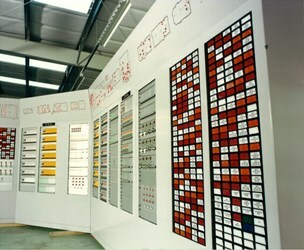 Many have utilised TMR technology, which Cetix UK pioneered in the UK offshore oil and gas market. Other systems have been provided using hardwired technology and Simplex / Duplex PLC’s such as Rockwell Automation, Schneider Electric, GE Fanuc and Siemens. Solutions up to SIL 3 can be provided. Cetix has experience of designing safety systems in accordance with IEC 61508 and incorporated a similar philosophy several years before the publication of the standard/guidelines. Examples include a TMR system for Emergency Shutdown and Fire and Gas Detection application for the Nexen Scott Platform and a similar TMR solution for the Texaco Mariner platform, which was in fact a SIL3 system. We are ideally positioned to also provide an independent certifying service for any IEC 61508 compliant systems supplied by third parties.